DO YOU FEEL LIKE YOU STRUGGLE WITH STARTING YOUR PHOTOGRAPHY BUSINESS? OR MAYBE YOU'VE ALREADY BEGUN BUT FEEL STUCK. MAYBE YOU'VE PLATEAUED? WELL, LOOK NO FURTHER. WHEN I BEGAN 6 YEARS AGO I HAD NO ONE. NO ONE WAS THERE TO TELL ME HOW TO POST TO SOCIAL MEDIA, OR HOW TO SHOOT IN TWILIGHT HOUR. I HAD ZERO IDEA HOW TO TAKE CARE OF TAXES, OR POSE COUPLES. AS I WENT THROUGH THE YEARS I SELF TAUGHT, TRIAL AND ERROR PEOPLE. I LEARNED WHAT WORKED FOR ME AND MY BUSINESS AND WHAT I COULD DO WITHOUT! SO I AM HERE, FULL OPEN BOOK, READY TO TAKE ON YOUR QUESTIONS! I ABSOLUTELY LOVE GIVING BACK WHAT I WAS NEVER GIVEN, AND TEACHING HAS BROUGHT ME SUCH JOY OVER THE YEARS. I WANT YOU TO KNOW THAT I CAN FULL RELATE WITH YOU IN PROBABLY ALL ASPECTS OF YOUR BUSINESS, SO LET ME TAKE YOU BY THE HAND AND GUIDE YOU ALONG! YOU HAVE A FEW OPTIONS WHEN CHOOSING WHAT MENTORING SESSION WILL WORK BEST FOR YOU. I WANTED TO OFFER A SOMEWHAT BASIC PACKAGE, BASICALLY JUST FOR CHATTING AND VERBALLY WALKING THROUGH QUESTIONS AND THE OTHER TWO ARE A BIT MORE OF SOMETHING I AM SUPER PASSIONATE ABOUT. CREATING REAL EMOTION FOR YOUR COUPLES AND NATURAL LIGHT! THIS OPTION STARTS AT A MINIMUM OF 2 HOURS. THE FIRST 1.5 HOURS WILL BE US CHATTING IN MY OFFICE WALKING THROUGH YOUR QUESTIONS. THE LAST 30 MINUTES ARE LEFT FOR HANDS ON THINGS THAT YOU MAY NEED HELP WITH. THIS COSTS $350.00 WITH THE OPTION TO ADD ADDITIONAL TIME IF NEEDED. THESE SESSIONS WILL INCLUDE ALMOST THE SAME THING AS IN PERSON SESSIONS, EXCEPT FOR DOING THE HANDS ON THING. OBVIOUSLY. THIS SESSION IS TWO HOURS LONG FOR $250.00. YOU MAY HAVE THE OPTION TO PURCHASE ADDITIONAL TIME IF NEEDED. THESE SESSIONS ARE FOR THOSE PEEPS WHO LIVE ACROSS THE UNIVERSE BUT ARE STILL INTERESTED IN LEARNING! BOTH OF THESE SESSIONS WILL INCLUDE ALL OF THE ABOVE AS WELL AS A PDF FILE FOR YOU TO HAVE ON HAND THAT WILL INCLUDE MY TOP 5 MUST DO'S THAT KEEP MY BUSINESS GROWING. WITHOUT THESE 5 THINGS MY BUSINESS WOULD SLOWLY FIZZLE OUT. SO THEY ARE GREAT MUST DO'S! ARE YOU READY TO INVEST IN YOUR BUSINESS? CONTACT ME HERE TO BOOK! YEARS AGO I GOT TO A POINT IN MY CAREER WHERE I WAS USING THE SAME EXACT POSING ON EVERY SINGLE COUPLE AND I QUICKLY REALIZED THIS IS HOW YOU GET BURNT OUT. I KNOW MY COUPLES HAD NO IDEA WHAT WAS GOING THROUGH MY MIND, BUT I KNEW AND THAT WAS ENOUGH TO SCARE ME! SO ONCE I BEGAN USING THE PROCESS I USE WITH MY COUPLES I FELL IN LOVE ALL OVER AGAIN AND THAT IS WHEN I FULLY GROUNDED MY FEET IN WHAT I WAS PASSIONATE ABOUT FOR my couples. creating real emotion. creating genuine interaction. an experience. - THIS SESSION IS 1.5 HOURS LONG. THE FIRST HOUR WILL CONSIST OF CHATTING. I WILL BE TEACHING YOU HOW TO IMPLEMENT YOUR OWN UNIQUE WAYS TO GET YOUR COUPLES TO INTERACT. THE LAST 30 MINUTES WILL CONSIST OF A SESSION WITH A REAL COUPLE SO YOU CAN TRY OUT YOUR NEW IDEAS ON THE COUPLE! I WILL ALSO BE HELPING TO GUIDE YOU THROUGH TO SHOW YOU HOW I DO IT! THIS SESSION COSTS $500.00. INCLUDES ALL OF THE ABOVE AS WELL AS A PDF FILE FOR YOU TO HAVE ON HAND THAT INCLUDE MY TOP 6 FAVORITE THINGS TO DO TO GET MY COUPLES TO INTERACT. ARE YOU READY TO CREATE REAL AUTHENTIC EMOTION FOR YOUR COUPLES?! SO, I DO BETTER LEARNING HANDS ON. I DO BETTER WATCHING OTHERS FROM AFAR AND THEN TURNING IT INTO MY OWN THING. SO THIS SESSION IS FOR PEOPLE LIKE ME! 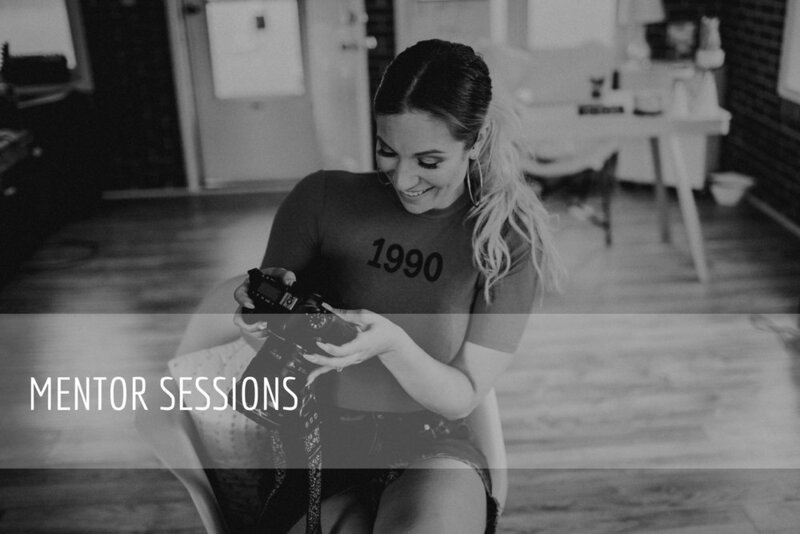 SUPER SIMPLE, YOU PAY $125.00 TO TAG ALONG WITH ME TO A LOCAL SESSION WHERE YOU CAN WATCH AND LEARN WHILE I SHOOT! AND YOU GET TO HANG OUT WITH ME, SOOOOOOO.